If you plan to buy the Toy Story 3 DVD this link will take you to the Disney Movie Rewards website. If you don't have an account, sign up and get a coupon for $8 off the 4 disc DVD/Blu-Ray combo pack. The coupon expires Monday, November 8. DVDs are usually the least expensive the week or two after they are released. After searching through the Sunday papers this is what I found. ----Best Buy has the combo pack for $24.99. They also have a cute 3 pack of stuffed animals from the movie for $12.99 w/ this purchase. ----Target has the combo pack for $24.99. ----Albertson's has the combo pack for 30.95 and get 3 free boxes of Albertson's brand cereal with purchase. ----Toys R Us has this combo pack for $34.99 and get a free Toy Story Wall Clock w/ purchase. Buy $40 of Disney DVDs and also get a $10 gift card. Spend $30 on Toy Story items and get a free Toy Story 3 popcorn tin. 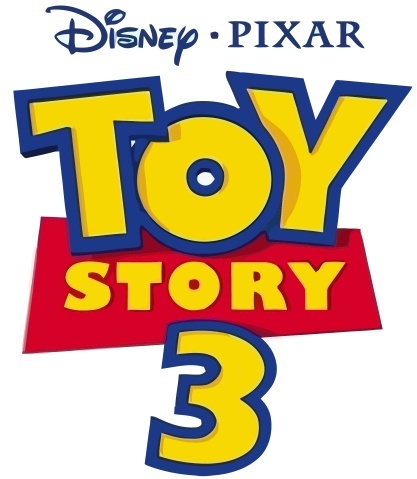 Friday/Saturday only buy Mater's Tall Tales DVD (17.99) and Toy Story 3 Combo Pack and receive $5 off. Combine all the sales: take the Toy Story 3 Combo Pack, Mater's Tall Tales DVD, a popcorn tin, and wall clock to the register. After they scanned everything, ask if the clock and tin are free, then hand them your $8 off coupon and you should be able to pay $39.98 plus tax and get the popcorn tin and clock free and get a $10 gift card in return! OR combine only the free offers and take the Toy Story 3 Combo Pack, clock (free! ), and popcorn tin (free!) to the register and pay only $26.99 plus tax. I bought mine presale a month ago at the Disney Store. I used a $10 coupon I got from a previous purchase to reserve Toy Story 3 and I got another $10 off coupon and one of those lenticular posters that move when you move from side to side. I'm looking forward to picking it up tomorrow and taking my daughter to her "baby class", aka the play area at the mall. I'm saving this movie for Christmas but I entered the code for the Disney Movie Rewards program and was surprised to find that I can stream the movie online anytime from anywhere! I think it's only available with a certain Disney movies, it worked the same with the Prince Caspian movie code I entered, but not Beauty and the Beast. It'll be great when we travel, the kids can watch a movie from the laptop in our hotel room!